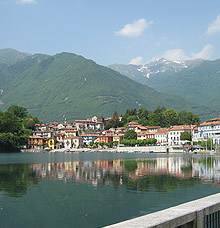 Lake Mergozzo is a small, crystal-clear body of water in the Verbano-Cusio-Ossola area (in Piedmont), just a few kilometres from the Gulf of Borromeo and from Verbania and Baveno. 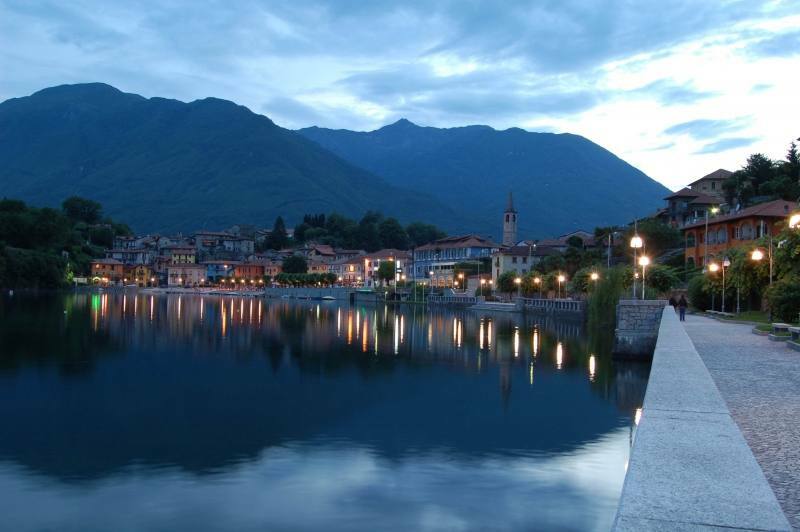 The little town after which the lake was named overlooks the small body of water: Mergozzo. 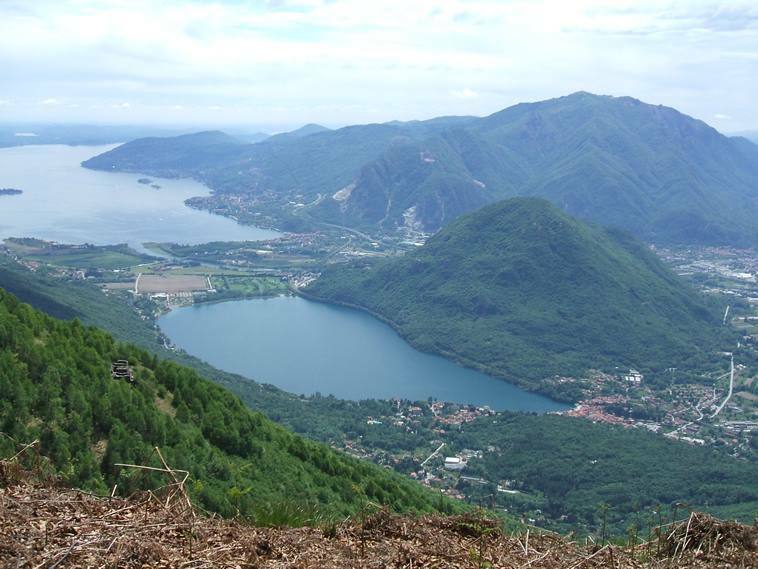 Once Lake Mergozzo was nothing more than the most western stretch of Lake Maggiore, the so-called Sinus Mergotianus. Lake Maggiore was once higher and larger than it is today, and it’s still easy to catch a glimpse of the signs of water in Mergozzo’s hinterland. Even the topography indicates an ancient presence of water: Passera = passerella (gangway); Pontit = ponticelli (small bridges) and Lagunsc or Lanca. In past centuries, the continuous flooding of the Toce River created a deltaic barrier, the current Fondotoce plain, that is that strip of land separating the two lakes. Lake Mergozzo is still connected to Lake Maggiore by a canal (2.7 km long), which however cannot be navigated due to a difference in levels. 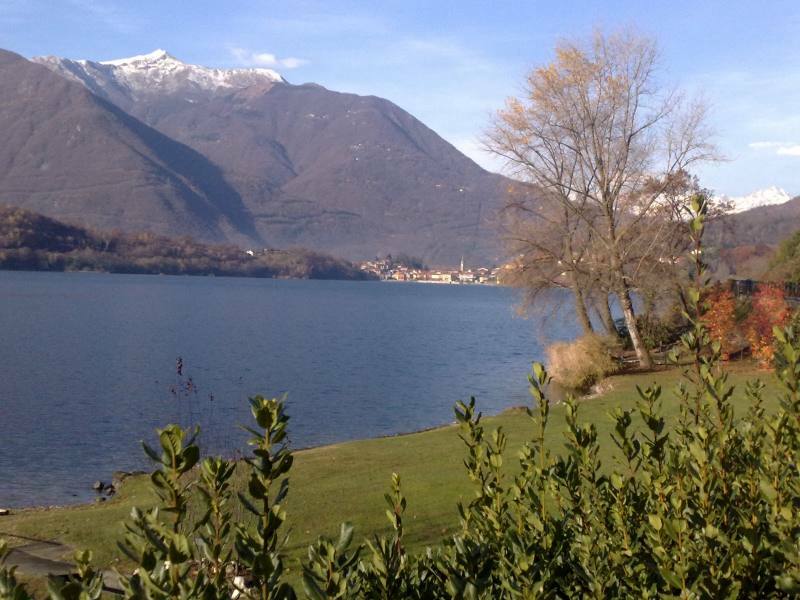 Lake Mergozzo is now approximately 2 metres higher than Lake Maggiore. 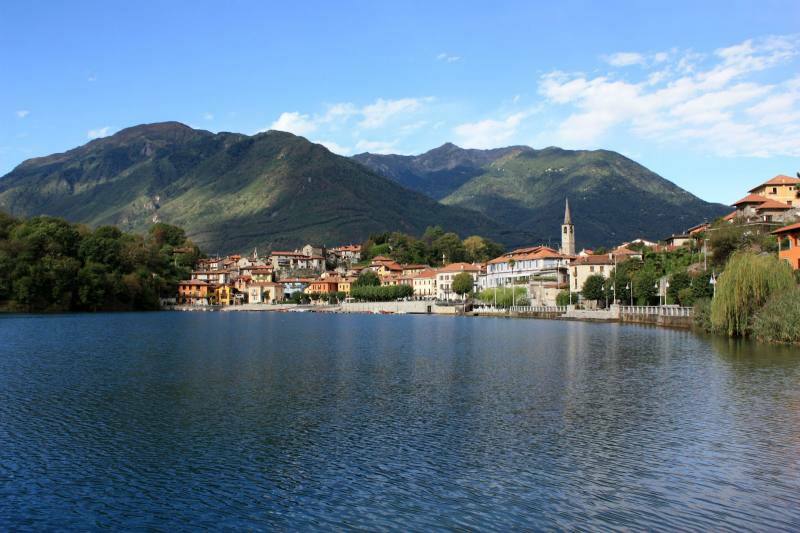 Lake Mergozzo is approximately 2.5 km long and just over 1 km wide and it has a circumference of approximately 6 km. It reaches a maximum depth of 74 metres for a total volume of almost 90 million cubic metres of water. Rascina and Valle dei Noci rivulets flow into Lake Mergozzo, along with the river that wets Mergozzo’s land and marks its borders for long stretches: the Toce River, whose tributaries are the Pra del Fico, Fighera, Nibbio, Bettola, Albo and Candogliar rivulets. 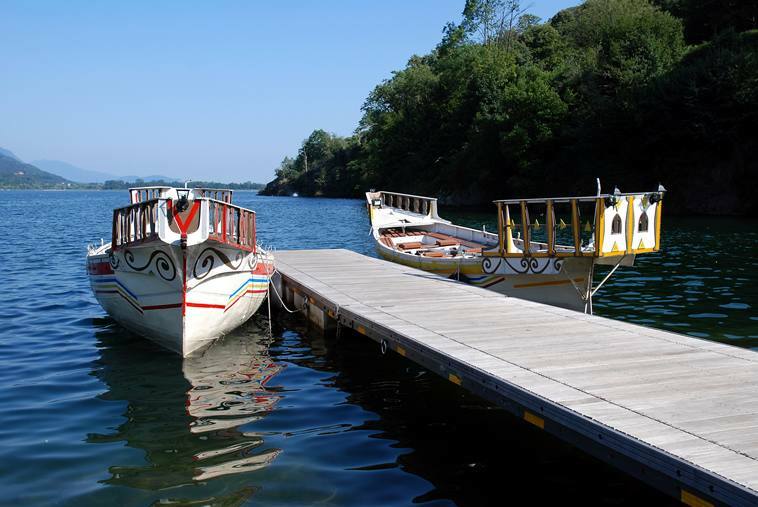 The lake and its pure waters are one of the preferred destinations for water-sports enthusiasts (canoeing, kayaking and windsurfing). This lake – as most bodies of water in the Ossola Valley – is protected and managed by the Province of Verbano-Cusio-Ossola. As for fishing, management and control are in the hands of FIPSAS Federazione Italiana Pesca Sportiva ed Attività Subacquee (Italian Federation for sports fishing and under water activities) of the Province of Verbania-Cusio-Ossola. It’s a true paradise for sports fishermen even if it is regulated, and especially for carp fishermen. 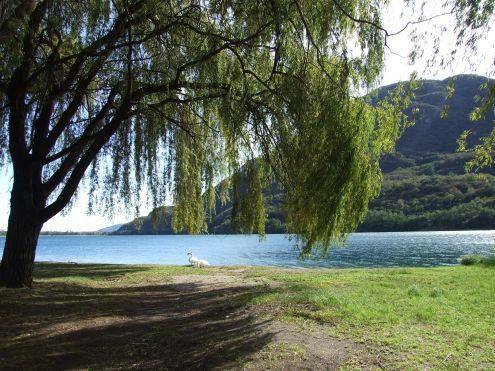 Lake Mergozzo is certainly a magnificent place to relax in and peacefully enjoy the natural beauties in the surrounding areas.